In a series of posts I have shown that capitalist state ownership and its identification with socialism has no support in the writings of Marx, Engels and Lenin. It nevertheless recurs again and again and has done so for years in the political programmes of organisations claiming to derive their politics from these figures. Most of these organisations also claim to be inheritors of the ideas of Leon Trotsky and consider their political programme to embody the approach of the transitional programme formulated by Trotsky in 1938. It remains therefore to look at the transitional programme to see what support it gives to today’s organisations which consider themselves to be continuing the fight for this programme. The transitional programme was itself said to incorporate the requirements of a transitional epoch – “During a transitional epoch, the workers’ movement does not have a systematic and well-balanced, but a feverish and explosive character. Slogans as well as organisational forms should be subordinated to this feature of the movement.” (Trotsky) It cannot be said today that the workers movements of Ireland, Europe or the historically advanced capitalist countries have a feverish or explosive character. 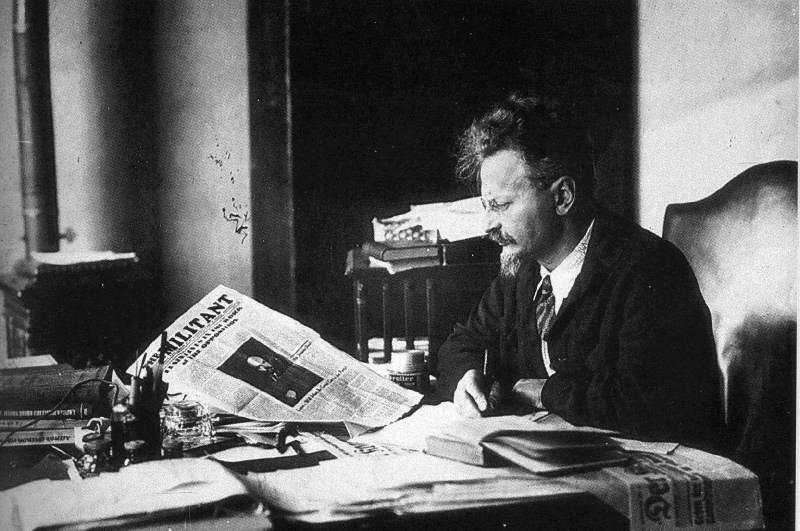 The point is therefore not to quote Trotsky in order to impose a specific formula on today but to demonstrate a general approach to Marxist politics and in so doing dismiss what are mistakes in formulating a working class programme. The purpose of the transitional programme is to bridge the gap between workers and socialism through approaching workers at whatever level of political consciousness they are at and through progressive struggle and education direct them towards the goal of socialist revolution. It starts with existing objective conditions and through step by step struggle projects forward to the conquest of political power by the working class. It is designed to overcome the division of political programme into support for socialism as the maximum objective and the fight for a minimum programme made up of immediate demands that involve only reform of the capitalist system. For Marxists the truth is concrete, not a formula, a schema, theory or principle and the truth lies in the whole, not any individual part or series of parts. The Marxist programme is therefore one that is true to the interests of the working class when taken in its entirety and when it becomes a guide to action. The role and purpose of the transitional programme is not therefore without its own problems; it does not of itself provide solutions to the difficulties in fighting for the interests of the working class or achieving the working class conquest of political power and it does not guarantee falling into failure to really fight for revolutionary change, on the one hand, or declarations of revolutionary virtue with limited purchase on reality on the other. It provides no ready-made answer when objective conditions clash with working class political consciousness, when the threat to the working class is either not understood by it or it does not have the means to respond. When the Irish working class faces years of austerity, but has no conception of an alternative and so votes or accepts this austerity, the transitional programme waves no magic wand. When relatively large numbers of working class people are prepared to support or engage in very militant forms of struggle but have no or very little conception of socialism, as many republican workers did in the north of Ireland during the late 1960s and 1970s for example, the method of the transitional programme offers no off-the-shelf remedy. What it does do is demonstrate through very practical examples how these problems may be faced and the method used to conceive the way forward – practical political demands which socialists and militant workers can fight for that can achieve their objectives. The class struggle itself will decide whether success is achieved. This can be illustrated by a criticism I have seen made of the Irish United Left Alliance programme. This Alliance has now fallen apart but there is no reason to believe that the errors of its political programme so criticised in this blog have been understood. The electoral platform of the ULA has been criticised for not using the word socialism but this would not be a problem if it was only the word that was missing and the content it is shorthand for, working class power, was maintained. The method of the transitional programme is based solidly on the Marxist view that the emancipation of the working class must be the task of the working class itself. The demands of the programme are all ones that the working class must fight for, impose and achieve. To bring us back to the point: nationalisation is something the working class hands to the capitalist state, the defender of capitalism, to carry out. 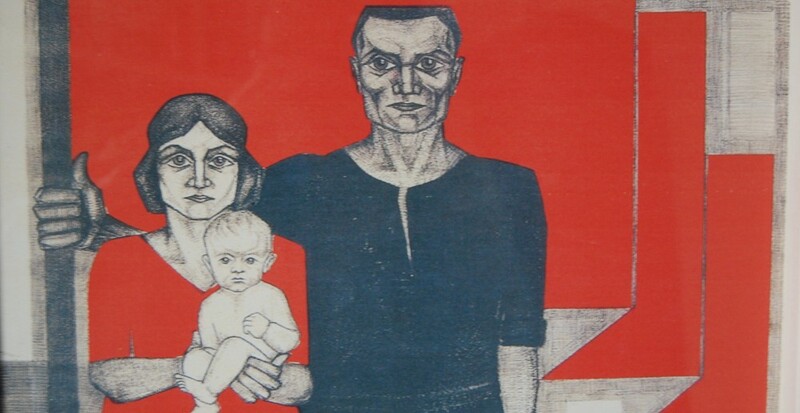 In terms of the examples above; the fight against austerity must place the tasks of the workers themselves to the fore, fighting the mechanisms of austerity in cuts and tax rises and putting forward alternatives that are creations of the working class itself such as democratic trade unions and workers cooperatives etc. In the North the need for defence of sections of workers attacked because of their religion must be a political task first, not a military one, and must be carried out democratically by workers themselves, not by a secret military group. It must be done under a political banner committed to democratic and class identification not sectarian and communal affiliation. Of course, as we have said, to fight is not necessarily to win but to fight under the wrong political banner and demands is already to fail. The principle that it is working class activity and action which is key through the mechanism of workers control is also revealed in the approach to demands which on the face of it are not specifically socialist and are limited to reforms or purely democratic changes within the existing capitalist framework. In these cases such demands must be fought for through working class methods of struggle in order that the workers themselves go through the experience of fighting and learn from the experience. Inevitably when this occurs workers quickly teach the socialists but no lesson is learnt automatically or spontaneously. The struggle in the North of Ireland is proof that even the most militant struggle does not generate socialist consciousness and that this must be fought for just as much as the particular object of struggle itself and if they cannot be linked the struggle for socialism is not on the agenda anyway. On the other hand the fixation with electoralism evidenced by the ULA is not a lapse but sits comfortably within a political programme which calls on the capitalist state to create equality and democratic ownership. Since the illusion exists that election to governmental office allows one to utilise the state to direct capitalist society, instead of the other way round, what makes more sense that seeking election? In this scenario working class action supports the actions of the elected instead of the elected acting merely as the megaphone of the working class movement. When I first became involved in Marxist politics in Glasgow in the middle of the 1970s the organisation I joined, the International Marxist Group, was critical of what it saw as the syndicalism of the (British) Socialist Workers Party because the SWP refused to stand in elections. Electoral intervention led to revolutionary politics being diluted and betrayed in the pursuit of votes said the SWP. Less than five years later the same argument was being advanced by Peoples Democracy against Provisional republicans who claimed that standing in elections was to play the British game, legitimising its rule and distracting from the cutting edge of the armed struggle. For both the IMG and PD the Russian Marxists at the beginning of the century were proof that entering electoral contests did not necessitate abandoning revolutionary politics. This is not the place to explain how this collapse of these organisations’ programmes came about but it is obvious that this has happened. As explained above, even the most militant struggle may not of itself generate socialist consciousness but electoralism has its own ways of causing political degeneration. In any case the struggle for capitalist state ownership does not challenge capitalist ideology, does not challenge the natural order of capitalist society, does not challenge the widespread illusion that the state (at least potentially) is a neutral arbiter of interests or is the embodiment and representative of a common, national interest. When the actions of the state feature so heavily in even the programme of self-declared Marxists, and for decade upon decade, can there be any wonder there is so little evidence of socialist political consciousness among the Irish working class? For Marxists this is key because if emancipation can only follow the actions of workers themselves then the ideas these workers act upon are obviously critical. In so far as socialists can affect this consciousness then the manifestos, budget statements, press statements, speeches on the floor of the Dail carried by TV and radio, door canvassing, interventions in workers’ meetings and leaflets at demonstrations are the means by which socialist education can be achieved. How many of these stray beyond Keynesian, that is capitalist, ideas? By comparison the theoretical articles in the left press are simply salves to a guilty conscience that is not even conscious of its guilt. Consciousness is key because socialism is another name for working class rule and no ruling class rules without being aware of it, which explains the much higher level of class consciousness among capitalists than workers. Workers cannot rule unless they purposefully chose to do so because power will not simply be handed to them. They will have to fight for it which means they will have to want it. Perhaps this is obvious but it has consequences for how socialists must see socialism coming about. The task of ruling society by the class that makes up the vast majority of society is an enormous and unprecedented undertaking. The scope and depth of political and social awareness to make such a prospect a real possibility does not at the moment exist anywhere. It must come through struggle involving greater and greater parts of the working class, through a process of political and social education that prepares the working class both ideologically and practically for accomplishing it. The transitional programme is meant to encapsulate how this momentous task is achieved. Unfortunately the transitional programme is looked upon in relatively restricted terms, as a result of the particular historical period in which, and for which, it was written. It is most obviously relevant to a revolutionary situation where the capitalist system is in crisis and the rule of the capitalist class is similarly struck. By their nature such situations are temporary and often fleeting. To believe today that such crises can move the working class from its current position of subservience, where it does not even control and mostly does not even participate in the organisations which are supposedly its own, such as trade unions, to being politically conscious and organised enough to take political and economic power, is to believe in revolutionary crisis as a sort of magic wand out of which the organisation and education of decades can be squeezed into a few years, at most, of crisis. The creation of socialist political consciousness among the vast majority of the working class is not the task of a few months or years but of decades. This is also true of the maturation of the objective conditions upon which such consciousness can only be created. This involves a qualitative increase in the social and political participation of the working class as a class in political and economic life, through real participation in trade unions, political parties, community organisations, workers’ cooperatives and other aspects of economic life. It sometimes appears as if supporters of the transitional programme believe that a series of smart demands allied to struggle can somehow lead workers from rather backward political consciousness, almost by the nose, to one day deciding they would like to rule society. Or worse, finding by sudden surprise that they must smash the capitalist state to get what they want or that having done so waking up one morning to find themselves in charge of society almost by default. It is almost as if the working class will take conscious control of society by a process of mostly unconscious action, at least until the last minute. While it cannot be expected that even the greatest struggle must start with full consciousness of the socialist objective it cannot be expected that the beginnings of a revolutionary struggle will start without widespread allegiance by major sections of the working class to the ideas of socialism as an objective and deep and widespread experience of self-organisation as a result of commitment to such ideals. In other words there exists a more or less long struggle to win the working class to the ideas of socialism and the need for practical experiences of organisation that comes from militant workplace organisation and inroads into capitalist property. For those who believe only a Marxist Party needs to be conscious of such tasks and long term objective there might not appear any problem. But if socialism is working class rule then the vast majority of workers must believe in their capacity to rule society and seek it as the solution to the critical problems which capitalist society has presented to them in periods of revolutionary crisis. In the next post I will look at claims that Trotsky did not understand this objective requirement. This entry was posted in Marxism, revolution, Socialist Programme, The Left, Trotsky and tagged Marxism, revolution, socialist programme, the Left by irishmarxism. Bookmark the permalink. Excellent summation. The integration of theory and practice has always been difficult, and the past century’s failures and disappointments have made such integration no easier.